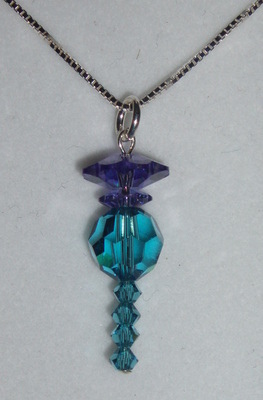 Beautiful handmade Swarovski Crystal Thistle pendant made to my own design using 3 types of Swarovski Crystals. Choice of 16" or 18" Sterling Silver chain. Delicate and very sparkly. Thistle measures about 1" long. Perfect for wearing to a Ceilidh, Wedding, or Scottish Theme event. Please allow up to 10 days for dispatch of these items as they are Handmade to order.